The Mind's Elbow: Happy New Year! Yes, I know. This baby New Year is already 28 days old and cutting teeth. What’s more, I’ve read a recent article suggesting that most of you have given up on your writing resolutions by now. So maybe it’s time to regroup and give yourself a restart. You Gotta Be by Des'ree, Kelly Clarkson’s Stronger (What Doesn’t Kill You), or Always Look on the Bright Side of Life by Monty Python are all excellent choices. However, I do NOT recommend Waiting Around to Die by Townes Van Zandt, or Beck’s Loser for obvious reasons. Something like Writing for the Wide Screen in 2016, Novels, Art, and Caffeine for 2016, or I’m a Creating Machine in 2016 could be just the ticket to set your wonderful wheels in motion. Please note that if your 2015 Statement of Awesomeness was... well, awesome, then there’s certainly no shame in It’s What I REALLY mean in 2016! 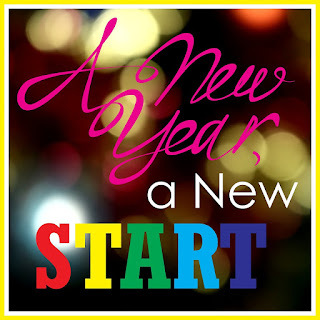 So let’s restart this New Year the right way right now! Say YES to RESOLUTIONS! Even though New Year's resolutions get a bum rap, our friends in the Journal of Clinical Psychology note that those who make them are actually 10 times more likely to successfully change their behavior than those who do not. ACTION is your friend. Theodore Roosevelt once said, “Get action. Do things; be sane; don’t fritter away your time; create, act, take a place wherever you are and be somebody; get action.” While his words should not be confused with the post-Teddy phrase “get some action”... his sentiments remain spot on. ACTION, whether you're taking it or getting it, is always a good thing. FINISH! Vow to finish something this year... and this something can be ANYTHING... even an anything as humble as a haiku. Just finish it. And while you’re finishing, remember this as well – DONE IS BETTER THAN PERFECT. If the last line of that haiku has one extra syllable that you just can't seem to shed — I do not care, mon frère. Call it done, grin, and move on. Then there’s the first cousin of DONE IS BETTER THAN PERFECT, affectionately known as LATE IS BETTER THAN NEVER... just like this post... ahem. See, it’s true. Finally, if you can remember only one of all the tips I’ve mentioned, please let it be this one — STAY IN THE GAME. It doesn’t matter what we’re talking about here – resolutions, goals, dreams, desires, or life in general and specifically – STAY IN THE GAME. It’s always worth the ride. even this one right now. PROMPT: Art is not just what we do. Art is who we are. so, make it a good one. And here’s a little extra motivation that cracks me up and never gets old.